Celebration isn’t frivolous – it’s powerful! 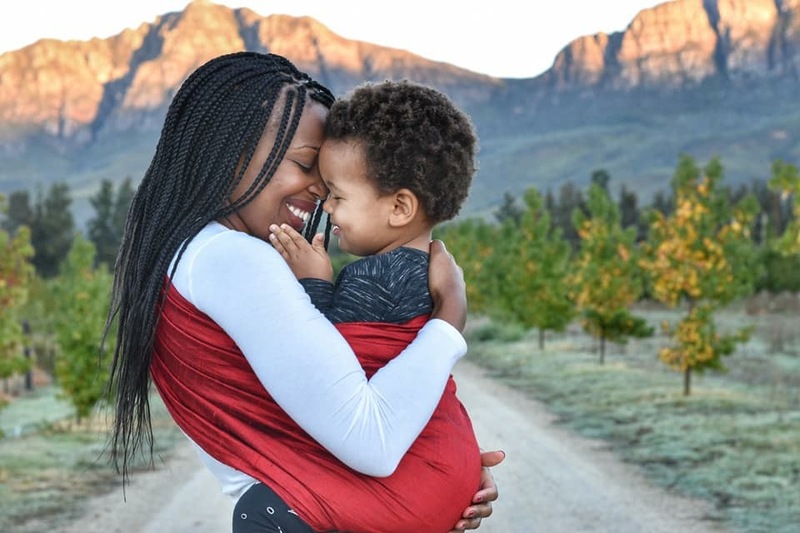 Black Babywearing Week 2018 is underway and we’re celebrating what this means for black mothers in South Africa. Whether you wrap, sling, buckle or tie your baby to your body – the revolution will be carried! Black mothers have carried their babies long before the term ‘babywearing’ reached the South African shores. Tell us how you do it. Tell us what you call it. Tell us what it means to you as a mother. Share your stories and let’s honour and celebrate this special part of black motherhood. Meet the Mom: Bongi Hill – mom, wife, doctor and writer over at Ndibambe. Bongi, you’re a big part of bringing this international celebration to South African mothers. Tell us a bit more about it. The idea of Black Babywearing Week came from a group of black babywearing educators and bloggers from the US. They started planning and gathered a team of black babywearers from around the world to make it happen. It has been put together by black people primarily for black people. The aim is to uplift and inspire black babywearers and to unify the community. We want to bring light to our history, be recognised in the present and be part of the future of babywearing. We want to make a variety of babywearing options and education accessible and available to all black caregivers. We also want to our the spotlight on black educators, bloggers and black-owned babywearing companies. This movement highlights Black, African American, Afro Caribbean, Afro-latino, and African families. The black babywearing populous is underrepresented online and in advertisements. We have a lot of pain from feeling overlooked and not acknowledged in the babywearing community. We have been babywearing for centuries and it is a normal part of life for us. We were babywearing way before it was trending. We support each other via Facebook groups, on instagram check-ins and by meeting in person. Black Babywearing Week is taking place this year of 2018 from Sunday, June 10th through Saturday June 16th. We are celebrating with online giveaways, events and personal meet-ups. There are many more fun ways to get involved. How can women who aren’t black honour this week? We ask those that are not black to also join us in celebrating by listening, supporting this week and sharing what you have learnt or gained from the black babywearing community. I grew up in a culture and community where it’s ordinary and common to carry your child. I’m a Xhosa woman from the Eastern Cape. In my culture, children are carried on the back using a towel or thin blankets. It is central to our way of caring for our children and life in general. We learn to carry babies before we become parents ourselves, carrying siblings and younger family members. Being taught by the most experienced babywearing educators… our mothers, aunts, grandmothers and other elders in our community. Carrying my son in view of this history goes beyond just us, it connects us to our greater community. A community which is rich in babywearing knowledge and skills. We are part of the history of babywearing and will be part of the future. Don’t overlook us. Acknowledge us and listen to our stories.